In September, the crumpled body of a young African man was found on a London sidewalk. He was a stowaway in a plane, having fallen to his death when the landing gear opened before touchdown at Heathrow. Now the police hope to identify the body. The London police initially believed the 20- to 30-year-old man was the victim of a murder, but it soon became clear that he had fallen from the sky. His fall occurred at the same time that a plane from Angola was opening its landing gear above the neighborhood. The victim also had Angolan currency in his pocket. 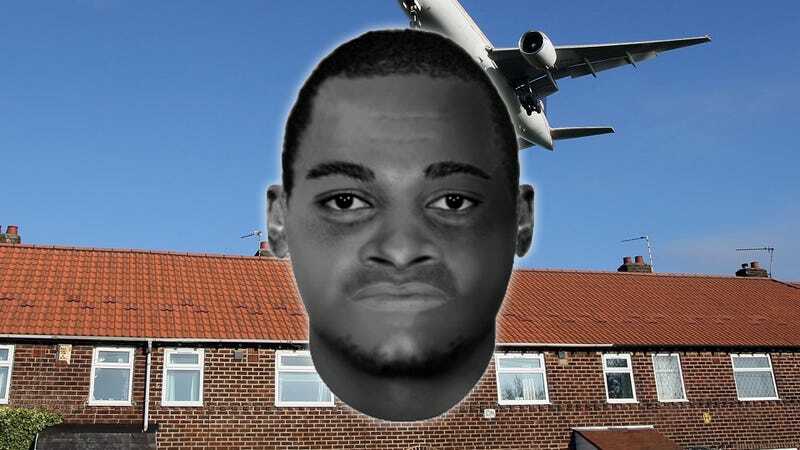 London officials, however, have had no success attempting to identify the man with the help of Angolan authorities. There is only "circumstantial evidence" that the victim is from Angola at all, reports the Associated Press. The mystery unfolded on a quiet Sunday morning and deeply disturbed the neighborhood's residents. An eyewitness Catherine Lambert, who lives just a few doors down from where the man hit the ground, spoke to the AP saying, "You could see him, his body was contorted. It was a beautiful blue day, really sunny, but we had to keep the children inside. I didn't want the children to see, and to have to explain to them and put fear into them every time a plane goes over." More disheartening must be the loss to the man's family back home in Africa. Lambert continued, "I felt, what was he running away from? What made him think he could he could? And how will his family ever know? He's a lost soul now; his father and mother are probably waiting for him to make contact." Unfortunately, stowaways like this are not as uncommon as you might think.